WHEREFORE, in consideration of these premises, the National Privacy Commission hereby issues this Circular governing personal data breach management. SECTION 1. Scope. These Rules apply to any natural and juridical person in the government or private sector processing personal data in or outside of the Philippines, subject to the relevant provisions of the Act and its Implementing Rules and Regulations. SECTION 2. Purpose. These Rules provide the framework for personal data breach management and the procedure for personal data breach notification and other requirements. A confidentiality breach resulting from the unauthorized disclosure of or access to personal data. “Privacy Impact Assessment” is a process undertaken and used by a government agency to evaluate and manage privacy impacts. Compliance with the Act, its IRR, and all related issuances by the Commission pertaining to personal data breach notification. The team must be ready to assess and evaluate a security incident, restore integrity to the information and communications system, mitigate and remedy any resulting damage, and comply with reporting requirements. The functions of the Data Breach Response Team may be outsourced. Such outsourcing shall not reduce the requirements found in the Act, the IRR or related issuance. The Data Protection Officer shall remain accountable for compliance with applicable laws and regulations. In cases where the Data Protection Officer is not part of the Data Breach Response Team, the Data Breach Response Team shall submit a written report addressed to the Data Protection Officer detailing the actions taken in compliance with these Rules. Data disposal and return of assets policy. Policies and procedures for mitigating the possible harm and negative consequences to a data subject in the event of a personal data breach. The personal information controller must be ready to provide assistance to data subjects whose personal data may have been compromised. Compliance with notification requirements and assistance provided to affected data subjects. A procedure for post-breach review must be established for the purpose of improving the personal data breach management policies and procedures of the personal information controller or personal information processor. SECTION 10. Regular Review. The incident response policy and procedure shall be subject to regular revision and review, at least annually, by the Data Protection Officer, or any other person designated by the Chief Executive Officer or the Head of Agency, as the case may be. The date of the last review and the schedule for the next succeeding review must always be indicated in the documentation of the incident response policy and procedure. The personal data involves sensitive personal information or any other information that may be used to enable identity fraud.For this purpose, “other information” shall include, but not be limited to: data about the financial or economic situation of the data subject; usernames, passwords and other login data; biometric data; copies of identification documents, licenses or unique identifiers like Philhealth, SSS, GSIS, TIN number; or other similar information, which may be made the basis of decisions concerning the data subject, including the grant of rights or benefits. The personal information controller or the Commission believes that the unauthorized acquisition is likely to give rise to a real risk of serious harm to any affected data subject. SECTION 12. Public Information. A claim that the data involved in a breach is public information will not automatically exempt a personal information controller from the notification requirements provided herein. When the level of availability or publicity of the personal data is altered by a personal data breach, it shall be considered as a personal data breach requiring notification, subject to the preceding paragraphs. SECTION 14. Discovery of Vulnerability. A discovery of a vulnerability in the data processing system that would allow access to personal data shall prompt the personal information controller or the personal information processor, as the case may be, to conduct an assessment and determine if a personal data breach has occurred. SECTION 15. Who should Notify. The personal information controller shall notify the Commission and the affected data subjects upon knowledge of, or when there is reasonable belief that a personal data breach has occurred. The obligation to notify remains with the personal information controller even if the processing of information is outsourced or subcontracted to a personal information processor. The personal information controller shall identify the designated data protection officer or other individual responsible for ensuring its compliance with the notification requirements provided in this Circular. SECTION 16. Reporting by Personal Information Processors. To facilitate the timely reporting of a personal data breach, the personal information controller shall use contractual or other reasonable means to ensure that it is provided a report by the personal information processor upon the knowledge of, or reasonable belief that a personal data breach has occurred. When Notification Should be Done. The Commission shall be notified within seventy-two (72) hours upon knowledge of or the reasonable belief by the personal information controller or personal information processor that a personal data breach has occurred. Delay in Notification. Notification may only be delayed to the extent necessary to determine the scope of the breach, to prevent further disclosures, or to restore reasonable integrity to the information and communications system. The personal information controller need not be absolutely certain of the scope of the breach prior to notification. Its inability to immediately secure or restore integrity to the information and communications system shall not be a ground for any delay in notification, if such delay would be prejudicial to the rights of the data subjects. Delay in notification shall not be excused if it is used to perpetuate fraud or to conceal the personal data breach. When delay is prohibited. There shall be no delay in the notification if the breach involves at least one hundred (100) data subjects, or the disclosure of sensitive personal information will harm or adversely affect the data subject. In both instances, the Commission shall be notified within the 72-hour period based on available information. The full report of the personal data breach must be submitted within five (5) days, unless the personal information controller is granted additional time by the Commission to comply. name and contact details of the data protection officer or any other accountable persons. description of other information involved that may be used to enable identity fraud. the measures being taken to prevent a recurrence of the incident. The Commission reserves the right to require additional information, if necessary. Form. Notification shall be in the form of a report, whether written or electronic, containing the required contents of notification: Provided, that the report shall also include the name and contact details of the data protection officer and a designated representative of the personal information controller: Provided further, that, where applicable, the manner of notification of the data subjects shall also be included in the report. Where notification is transmitted by electronic mail, the personal information controller shall ensure the secure transmission thereof. Upon receipt of the notification, the Commission shall send a confirmation to the personal information controller. A report is not deemed filed without such confirmation. Where the notification is through a written report, the received copy retained by the personal information controller shall constitute proof of such confirmation. When should notification be done. The data subjects shall be notified within seventy-two (72) hours upon knowledge of or reasonable belief by the personal information controller or personal information processor that a personal data breach has occurred. The notification may be made on the basis of available information within the 72-hour period if the personal data breach is likely to give rise to a real risk to the rights and freedoms of data subjects. It shall be undertaken in a manner that would allow data subjects to take the necessary precautions or other measures to protect themselves against the possible effects of the breach. It may be supplemented with additional information at a later stage on the basis of further investigation. Exemption or Postponement of Notification. If it is not reasonably possible to notify the data subjects within the prescribed period, the personal information controller shall request the Commission for an exemption from the notification requirement, or the postponement of the notification. A personal information controller may be exempted from the notification requirement where the Commission determines that such notification would not be in the public interest or in the interest of the affected data subjects. The Commission may authorize the postponement of notification where it may hinder the progress of a criminal investigation related to a serious breach, taking into account circumstances provided in Section 13 of this Circular, and other risks posed by the personal data breach. Where it is not possible to provide the foregoing information all at the same time, they may be provided in phases without undue delay. Form.Notification of affected data subjects shall be done individually, using secure means of communication, whether written or electronic. The personal information controller shall take the necessary steps to ensure the proper identity of the data subject being notified, and to safeguard against further unnecessary disclosure of personal data. The personal information controller shall establish all reasonable mechanisms to ensure that all affected data subjects are made aware of the breach: Provided, that where individual notification is not possible or would require a disproportionate effort, the personal information controller may seek the approval of the Commission to use alternative means of notification, such as through public communication or any similar measure through which the data subjects are informed in an equally effective manner: Provided further, that the personal information controller shall establish means through which the data subjects can exercise their rights and obtain more detailed information relating to the breach. Age or legal capacity of affected data subjects: Provided, that in the case of minors or other individuals without legal capacity, notification may be done through their legal representatives. In evaluating if notification is unwarranted, the Commission may take into account the compliance by the personal information controller with the law and existence of good faith in the acquisition of personal data. SECTION 20. Failure to Notify. In case the personal information controller fails to notify the Commission or data subjects, or there is unreasonable delay to the notification, the Commission shall determine if such failure or delay is justified. Failure to notify shall be presumed if the Commission does not receive notification from the personal information controller within five (5) days from knowledge of or upon a reasonable belief that a personal data breach occurred. SECTION 21. Investigation of a Breach or a Security Incident. Depending on the nature of the incident, or if there is failure or delay in the notification, the Commission may investigate the circumstances surrounding a personal data breach. Investigations may include on-site examination of systems and procedures. If necessary, the Commission shall require the cooperation of concerned parties, or compel appropriate action therefrom to protect the interests of data subjects. The investigation under this Section shall be governed by the Rules of Procedure of the Commission. SECTION 22. Reportorial requirements. All security incidents and personal data breaches shall be documented through written reports, including those not covered by the notification requirements. In the event of a personal data breach, a report shall include the facts surrounding the incident, the effects of such incident, and the remedial action taken by the personal information controller. For other security incidents not involving personal data, a report containing aggregated data shall constitute sufficient documentation. Any or all reports shall be made available when requested by the Commission: Provided, that a summary of all reports shall be submitted to the Commission annually, comprised of general information including the number of incidents and breach encountered, classified according to their impact on the availability, integrity, or confidentiality of personal data. SECTION 23. 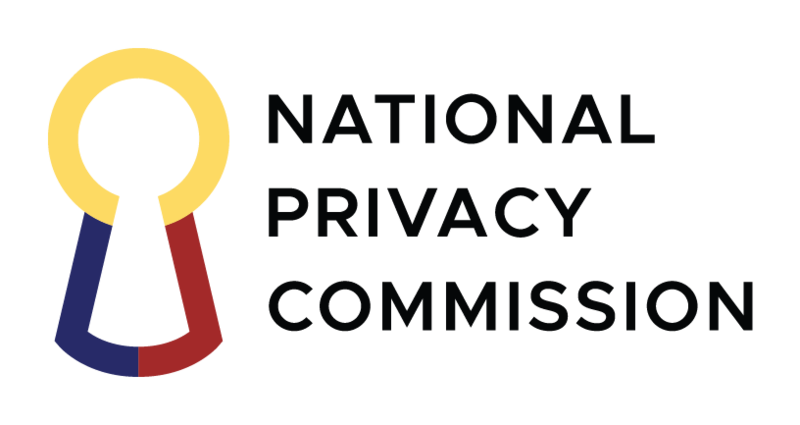 Notification and Reporting to the National Privacy Commission. The requirements pertaining to notification and the submission of reports shall be complied with through the appropriate submissions to the office of the National Privacy Commission or by electronic mail ( [email protected] ). The foregoing details may be amended, subject to a public announcement made through the Commission’s website or other comparable means. SECTION 24. Separability Clause. If any portion or provision of this Circular is declared null and void or unconstitutional, the other provisions not affected thereby shall continue to be in force and effect. SECTION 25. Effectivity. This Order shall take effect fifteen (15) days after publication in the Official Gazette or two newspapers of general circulation. Who should notify. The personal information controller, which controls the processing of information, even if processing is outsourced or subcontracted to a third party. When should notification of Commission be done. Within 72 hours from knowledge of the personal data breach, based on available information. Follow up report should be submitted within five (5) days from knowledge of the breach, unless allowed a longer period by the Commission. When should data subjects or individuals be notified. Within seventy-two (72) hours from knowledge of the breach, unless there is a reason to postpone or omit notification, subject to approval of the Commission. What are the contents of notification to data subject In general, same contents as notification of Commission but must include instructions on how data subject will get further information and recommendations to minimize risks resulting from breach. How will notification be done? Commission may be notified by written or electronic means but the personal information controller must have confirmation that the notification has been received. Data subjects or affected individuals shall be notified individually, by written or electronic means, unless allowed by the Commission to use alternative means. Other requirements Cooperate with the Commission where there is an investigation related to the breach. Documentation of all security incidents and the submission of an annual report to the Commission.